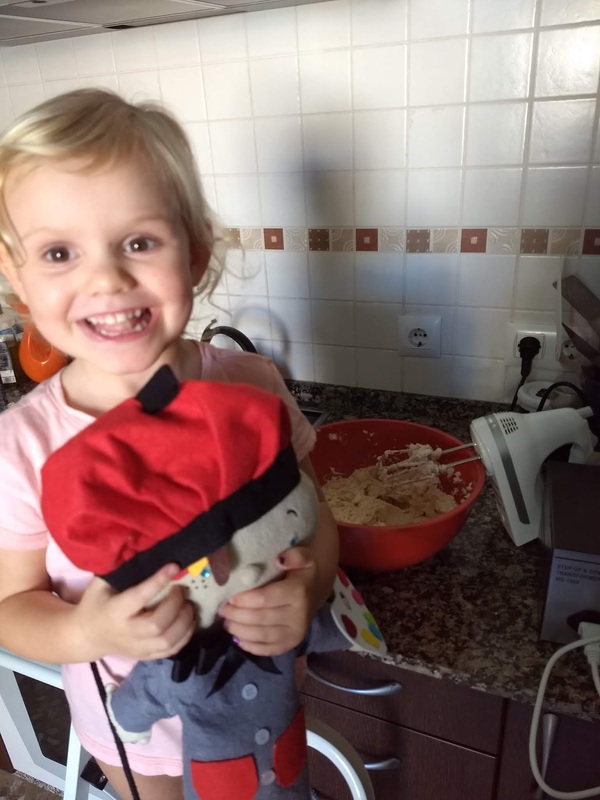 I realized that while this is our third Thanksgiving in Spain, it is actually the first time I have done a specific blog post about our Thanksgiving, usually I just recap it in our life lately posts... Apparently it is about time to blog our celebration of the American holiday while living abroad. First off, Thanksgiving is an American holiday -- Spain does not celebrate Thanksgiving and most people know nothing about it, especially those that don't deal with Americans on a daily basis. Which means Serafina had school on Thanksgiving and the day after (as she did last year when she attended guarderia) -- I find this absolutely amazing. We send Serafina off to school and we cook for the day and relax... and then send her to school on Friday while we recover, relax and shop if we want! But it is also a little weird to have such a big holiday without anyone in her class knowing about it or celebrating. Eh, one day she will learn the story of Thanksgiving and such! We started off our Thanksgiving festivities the weekend before with our friend's annual Friendsgiving dinner, always the Saturday before Thanksgiving as this group of friends are single without kids so they travel for Thanksgiving. We hired a babysitter and enjoyed a kid-free dinner with good friends -- and amazing food! Some of us have the same Spanish teacher, so we invited her to participate in her very first Thanksgiving. It was quite fun trying to explain some of the more random traditions we have all grown up with (canned cranberry sauce put on turkey, sweet potatoes with marshmallows....). Serafina got to bring home her class doll the day before Thanksgiving so the two of them helped me in the kitchen making a pumpkin cheesecake -- and of course I just had to send a picture to the group chat for her class (have to document that the doll got to participate in Thanksgiving prep)! So some of the parents asked about Thanksgiving and wished us as Happy Thanksgiving. 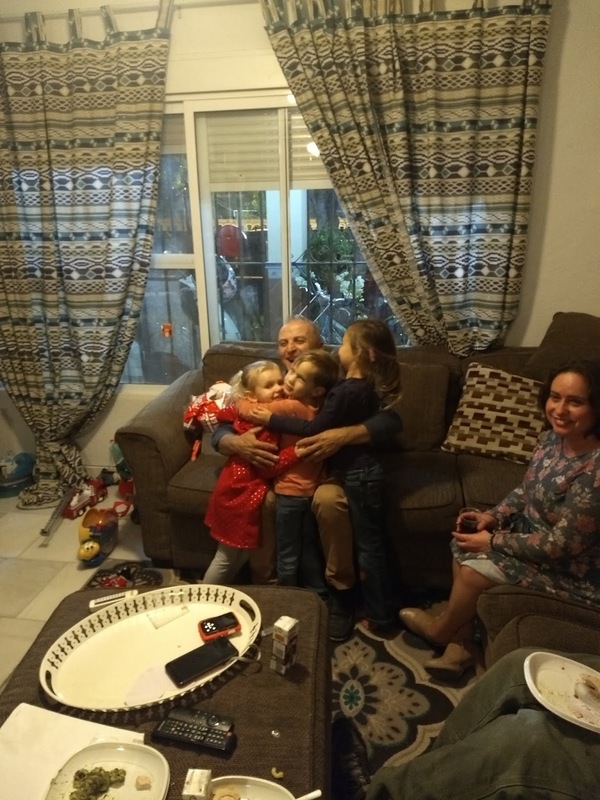 We then did actual Thanksgiving with three other families who have become our family while here in Spain -- we all have kids around the same age and they get along so well. We put the kids in the play room and the adults enjoyed good food, good company and just overall had a blast. We were all too busy eating and drinking and enjoying ourselves for me to even take one picture -- blogger fail for sure! Spain does not really do Black Friday (some people know about it through American media/movies). If there are sales, they aren't big like in the states and stores for sure don't open early! However, the base Navy Exchange (like a mini department store) does a sale (called Blue Friday) so Trevor and I dropped Serafina off at school and went simply to follow in American traditions of shopping on Black Friday :) We did do some online shopping -- stocking up on warm clothes for our upcoming trip to Germany and a few Christmas presents. And of course we had a TON of left over food from Thursday/Thanksgiving, so we got together with our family friends again on Friday to have a left over party. 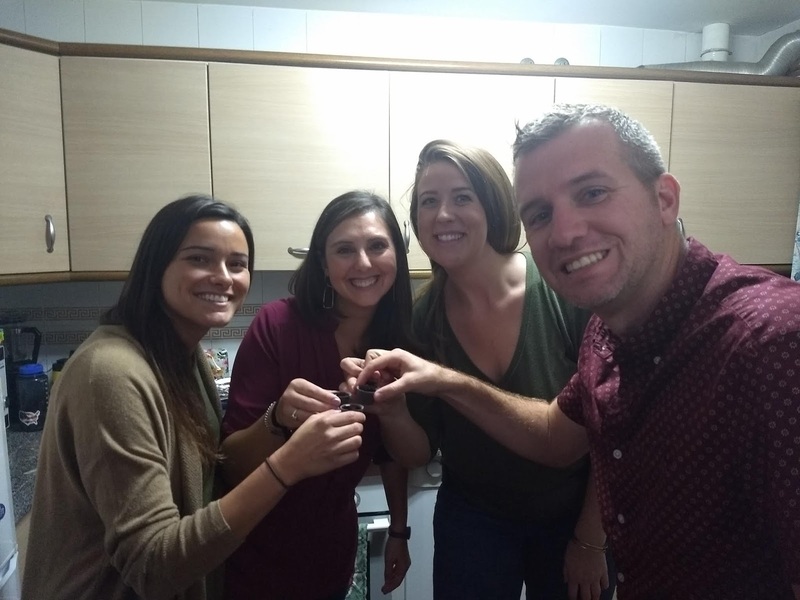 This time we invited some Spanish friends that we all have in common and roasted another turkey -- we had an amazing mish mash of American and Spanish food! It was once again really fun explaining the American traditions to some of the older Spanish (who of course spoke no English). This time I did get at least one picture -- the kiddos loving on their Spanish abuelo! The rest of the weekend we just spent relaxing and doing things around the house, including decorating for Christmas! We have a busy holiday season coming up complete with a trip to Germany for Christmas Markets!